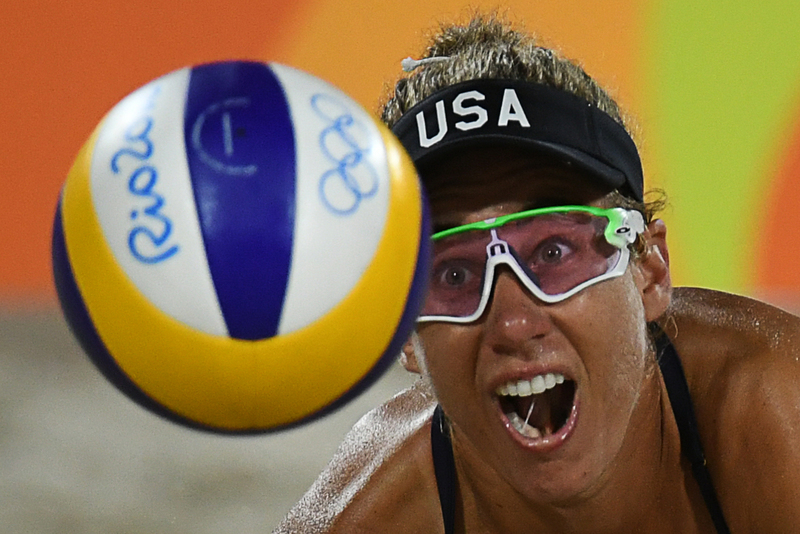 Tuesday night was a rough one for America's favorites to win the women's beach volleyball gold. Kerri Walsh Jennings and April Ross were knocked out of the running in the semifinals by Agatha Bednarczuk and Barbara Seixas of Team Brazil, dashing the hopes of cruising on to another Olympic gold. We all know what Walsh Jennings was doing before the Olympics, considering she was at the games three times prior. But what did Ross do before she and Walsh Jennings became partners? So I was giving Kerri a hug, and she leans in, and she says, "Okay, let's go get gold in Rio." And it caught me off guard for sure, but, of course, my immediate reaction was, "Yeah, of course, like let's do it. I'm in." A phone call confirmed the match-up a few months later. Kessy had plans to take time off to start a family, but Ross explained that she didn't want to tell Kessy right away about her new partner. "I kind of broke it down slowly across several months," Ross told NBC's Olympics site. After all, Kessy and Ross made a pretty successful team at the time. The duo had even beaten Walsh Jennings and May-Treanor once in a tournament leading to the 2009 FIVB World Championship, which Ross and Kessy ultimately won. It was a huge upset at the time. Ross actually got her start in volleyball inside the gym — not on the beach, despite being from Southern California. She played for her high school, Newport Harbor High School, where she lettered in track and volleyball all four years. She won tons of honors, which by no means ended when she started school at the University of Southern California. Starting on the volleyball team all four years, she was named the 2003 Pac-10 Player of the Year and the NAACP Regional MVP in 2000 and 2002. Equipped with a degree in international marketing, Ross graduated in 2005 from college. Ultimately, Tuesday night put an end to Ross and Walsh Jennings' master plan. The first match, which began at midnight on Copacabana Beach, was tied 18 to 18 when a ball the Americans thought would land out of bounds actually hit the line. They lost the match 22-20. Then things went downhill from there. The Brazilians pushed ahead in the second match to win, 21-18. We could squash that team, and we have in the past. I say that with so much respect, because they are very good. Tonight, they rose to the occasion. I certainly did not, and there’s no excuse for it. She stuck with her last partner for three straight Olympics, so maybe she and Ross will go for the gold in 2020. The two will meanwhile play for the bronze medal on Wednesday.